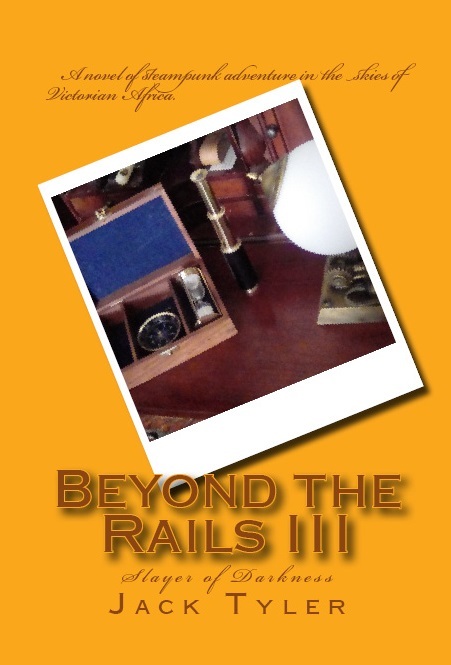 [Review of purchased Kindle edition] Rating: 4½ stars. I'm first going to tell you everything that's wrong with this book: The author uses too many commas. Mr. Summers' bio states that he is a working astronomer, and as the bulk of this novel is set in an observatory, I must assume that he got the atmosphere right. I live near Palomar, and can tell you that even in a daytime tour group, these domes are big, windy, cold, echoing cathedrals where every sound bounces around until direction and content are lost in transition, so high marks for setting. The book is unabashedly supernatural horror, so let's see what he offers. 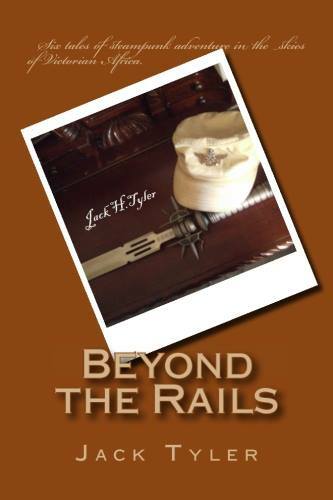 All are present in a single story, and all are tied together by as compelling a plot and as riveting wordcraft as it has been my pleasure to read in a good long time. 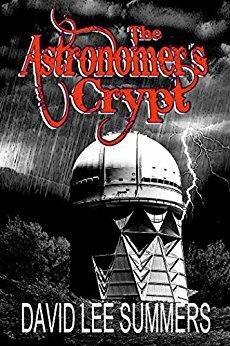 If you're a horror fan, and you haven't read The Astronomer's Crypt, then there is a gaping hole in your cloak of fandom. Don't waste time arguing. Just get the book, ignore the extra commas, and enjoy the delightfully horrible thrill of your reading life! ADVENTITIOUS: Associated with something by chance rather than as an integral part; extrinsic. Okay, so I'm a fan of noir. Movies like The Maltese Falcon, Strangers on a Train, and Sunset Boulevard just blow me away. As a body of work, there aren't a huge number of them, so I make it a point not binge-watch them; I don't want to use them all up in a week, and never have any more to look forward to. After all, they stopped making these things back in the 1950s. Or did they? 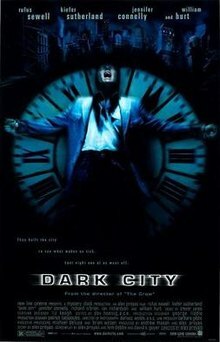 A little while back I was in the mood to add a noir to my playlist, so I did a little research and discovered that a 1950 movie called Dark City starring a young Charleton Heston (his first starring role, actually) had some points to recommend it, not the least being the young Charleton Heston. Also in the cast were Dean Jagger, Jack Webb, Ed Begley, and Harry Morgan. The leading lady was Lizbeth Scott. Deciding that this might be worth a look, I brought up Amazon, plugged Dark City into the search engine, performed my one-click purchase, and settled back to await its arrival. When it arrived, I took it out of the shipping container and put it in the queue without paying much attention to it. It's been working its way toward the top of the pile for a few weeks now, and this evening it came up. Imagine my surprise when, far from being a Charleton Heston black-and-white film from the Golden Age, this was a full-color production from the Recent Age starring Rufus Sewell, Kiefer Sutherland, Jennifer Connelly, and William Hurt. Adventitious. I couldn't find the exact word I wanted to describe what happened here. I'm sure there is a word for the situation that occurs when you make a real dunce mistake, and it turns out better than you could ever have imagined. The 1998 film checks all the boxes: A man wakes up in a hotel bathtub. He can't remember who he is or what he's doing there. He gets out of the tub, gets dressed, and goes into the living room to discover a dead woman, and the bloody knife that killed her. The phone rings, and a stranger's voice tells him to get out of there, that even now, some men are coming for him. He takes the stranger's advice and high-tails it, being narrowly missed by a hard-boiled police detective, and another group of men from a secret society with shadowy motives. There ensues an hour-and-forty minute chase through one of the grittiest, darkest urban areas you'll ever see in a movie. I'm serious, this place makes Gotham City look like Itchycoo Park. Rufus Sewell plays the amnesiac, and the man who called him, Kiefer Sutherland, claims to be his doctor. He is later revealed to be a psychiatrist who is working his own agenda. Jennifer Connelly plays the wife he doesn't remember, a torch singer in a two-bit nightclub, and William Hurt is the hard-boiled cop who's after him for murdering the woman in the hotel room, and five more besides. I refuse to spoil any of this, so I won't even hint at what the secret society's aims are, but let me make a statement you may find... intriguing. As I said, this film checks all the boxes. Dark, gritty hero: check. Hard-boiled cop: check. Femme fatale: check. Grimy backdrop: check. But this one adds a new box, and one I've never encountered in a noir of any era before now. Science-fiction: check. As I said, there will be no spoilers here. Suffice to say that this one is a stunner. It's about the mystery, it's about the chase, it's about the convoluted, interweaving plot lines, but this one has another facet. It's about what it means to be human. See this film, at least if you have a love of noir and a love of sci-fi. You won't see them together that often, and don't say Blade Runner; Decker's character is a cop, which removes him from the being a suspect aspect of the richly layered noir that really brings the grit. I found this film to challenge me as a viewer to keep up, and to try to get ahead of our victim in the quest to learn the secret, but it has given me a level of pleasure beyond that, as now I know there is neo-noir out there that is every bit as good as the original classics. You can bet I'll be on the lookout for more! 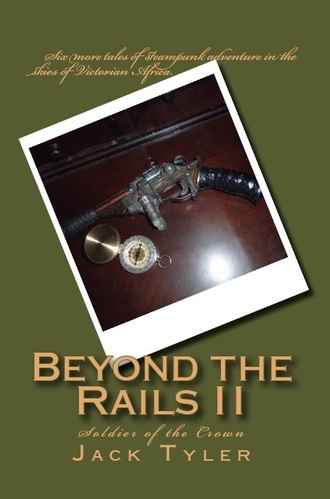 Just a reminder to new visitors: I am primarily an author, and the vast majority of my blogging is done on my author's page at https://blimprider.com - Pay me a visit when you have a spare moment. I love to meet new people, and you never know what you might find there. Maybe a thought-provoking discussion... Maybe a new friend. Meanwhile, get out there and live life like you mean it!